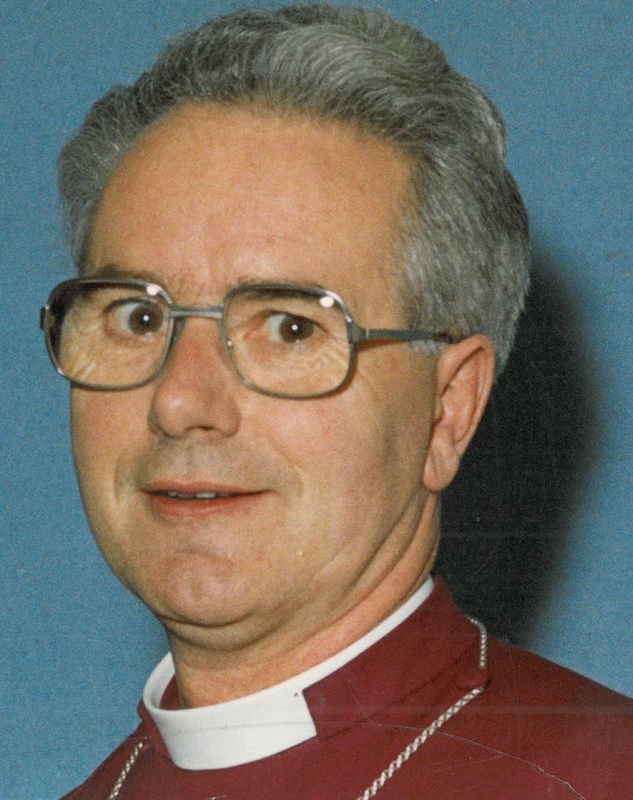 The Archbishop of Wales is leading tributes to a retired bishop who died this week. Bishop Dewi Bridges served as Bishop of Swansea and Brecon for 10 years from 1988 to 1999, when he retired. During his 40 years of ministry he also served as Archdeacon of St Davids, Rector of Tenby and Rural Dean of Narberth. Originally from Beaufort, in Blaenau Gwent, Bishop Dewi graduated from both the University of Wales, Lampeter, and Corpus Christi College, Cambridge. He trained for ministry at Westcott House, Cambridge, and was ordained as a priest in 1958. He served curacies at Rhymney and Chepstow before being appointed Vicar of St James, Tredegar in 1963. Two years later he crossed the border to take up a post as lecturer at Summerfield College of Education, in Kidderminster and then Vicar of Kempsey. In 1980 he moved back to Wales and served in the Diocese of St Davids as Rural Dean of Narberth, Rector of Tenby and, from 1982, as Archdeacon of St Davids until his appointment as Bishop of Swansea and Brecon in 1988. Also paying tribute to Bishop Dewi is the current Rector of Tenby. Canon Andrew Grace served his first curacy at Tenby and was trained by Bishop Dewi who was Rector at the time. He said, “In 1981 I left Salisbury & Wells Theological College to take up my first curacy in Tenby, with Dewi as my training incumbent.  For the move to the curate’s flat my brother and I hired a van, and, as we were unloading, Dewi suddenly appeared and helped us with all the heavy lifting – an act I was soon to learn was completely characteristic of this kind and caring man of humility and integrity – attributes which marked out his ministry right to the end. I think it was the first time he had had a Deacon to train, and I could not have found a more sensitive and caring priest for my beginnings in ordained ministry. “He served as Rector of Tenby 1979-88, being Archdeacon of St Davids for the latter six of those years, and his incumbency here is fondly remembered as a golden age in the recent history of what became a Rectorial Benefice in his time. Dewi loved people, and their well-being and pastoral care were at the top of his list of priorities. His style of leadership was simple and direct, never unnecessarily flamboyant in worship, always patient and kind. “I returned to Tenby 30 years later as Rector, only to be warmly welcomed back again by Dewi, who by now was long retired. I am so pleased that he was able to enjoy a long and fulfilled retirement here, where he was active in leading worship until fairly recently. When I became a Canon of St Davids Cathedral in 2012 Dewi very generously gave me his special black scarf bearing the diocesan and cathedral emblems – a gift I wear and shall always treasure. Bishop Dewi leaves his wife, Rhiannon, two children, Huw and Sian, and five grandchildren. His funeral will take place at St Mary’s Church, Tenby, on Friday May 29 at 1pm. 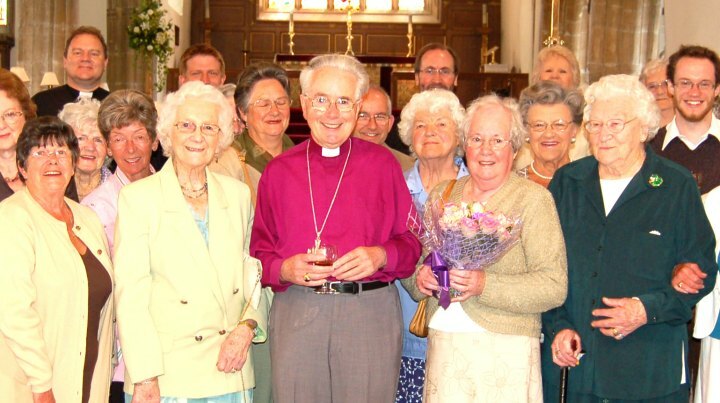 The photo above shows Bishop Dewi celebrating the 50th anniversary of his ordination with parishioners at St Mary’s Church, Tenby. This was posted on 21 May 2015 and updated on 22 May 2015.